In a small bowl, beat eggs, buttermilk, vanilla and vinegar together. Stir wet mixture into dry ingredients and mix well; stir in coconut oil and combine until a dough is formed. Dough will be thick and slightly sticky. 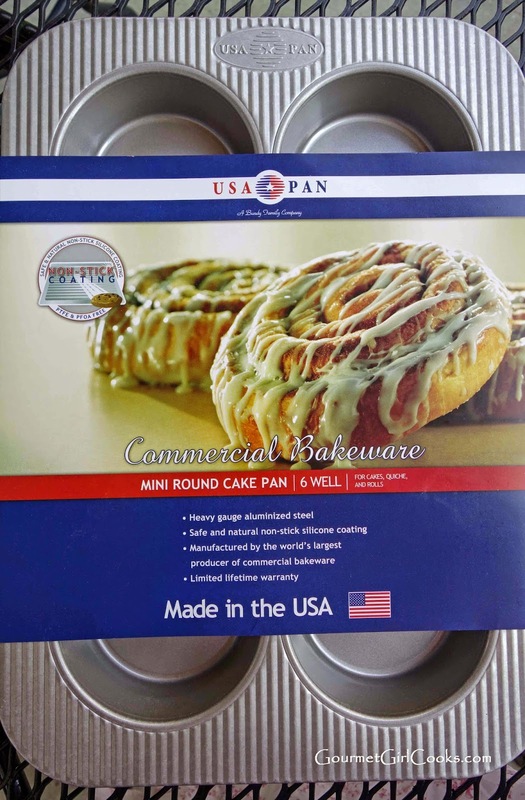 Lightly spray a 6-well mini cake pan (for thicker bagels) or a nonstick muffin top pan with olive oil or coconut oil spray. Using a 4-tablespoon size retractable scoop, divide and scoop dough into 6 equal sized portions in pan. Using slightly moistened finger tips, gently pat down and smooth dough to form patty-sized circles in the wells or muffin cups. Bake for about 20-22 minutes, or until lightly browned and done. Remove from pan after sitting for 5 minutes and cool on a wire rack. Slice in half with a sharp serrated knife. *Note: These can also be baked on a parchment paper lined baking sheet (shaped and smoothed with moistened fingertips). Could you sub the buttermilk for canned coconut milk to make them dairy free? Wow..I was all ready to make these this coming week, until I saw the Amazon price for the fruit/nut mixture. Unfortunately cannot afford to spend that much on dried fruits and pepitas. 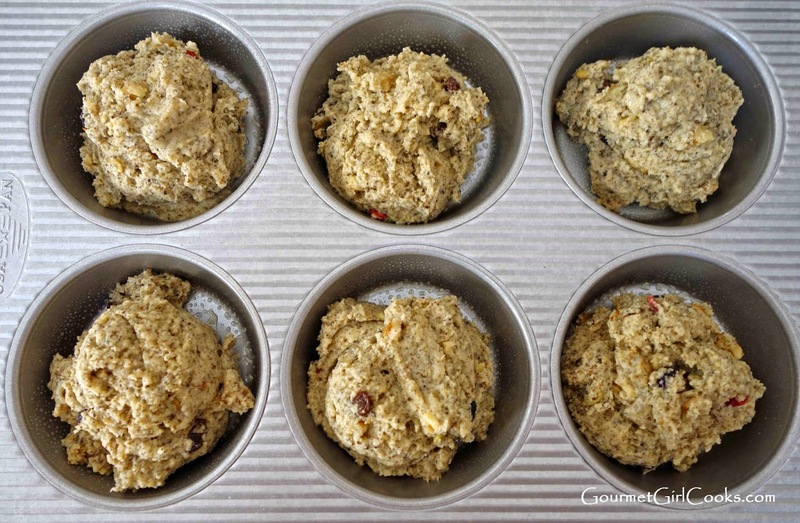 Since you only used 1/4 cup, I'll substitute with 1 tablespoon each of dried cranberries, raisins and blueberries, and add another tablespoon of chopped walnuts. Wish me luck! I wish I were you next-door neighbor. I'm confused about the chia seed. Is it 1/2 cup before grinding or after. The volume increases greatly, once the seeds are ground. Wow! These are awesome!! 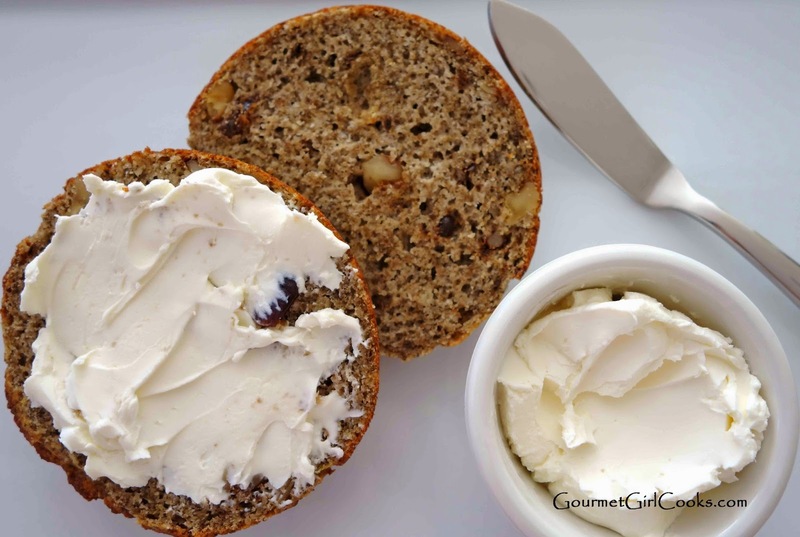 Either with cream cheese or with nut butter, both fantastic. I did mine on parchment because I don't have a mini cake pan, and they spread a bit. I think next time I'll try a large muffin pan so I can get them a little thicker. I used some sunflower and pumpkin seeds and a bit of chopped dried apricots. So good!! And very filling. Your so awesome :) I appreciate your recipes so much! They have helped me so much in eating wheat free & in my whole family eating healthier. Love that your a Costco shopper too, I'm always looking out for those items you recommend when I make my weekly stop there. THESE ARE AMAZING!!! i used what i had on hand, which was dried apricots and pumpkin seeds, along w/walnuts. substituted kefir for buttermilk. i borrowed a donut pan which worked perfectly and gave them the bagel appearance. i made them at 11pm and had to test them warm out of oven…so good i couldn't resist having a second one before bed!! they are great warm, room temp, and right out of frig. my only concern is that they may be tooooo good and i will have to make them intermittently vs keeping them on hand all the time. self-discipline doesn't seem likely w/these in the house!! thanks for another great recipe. These are great! 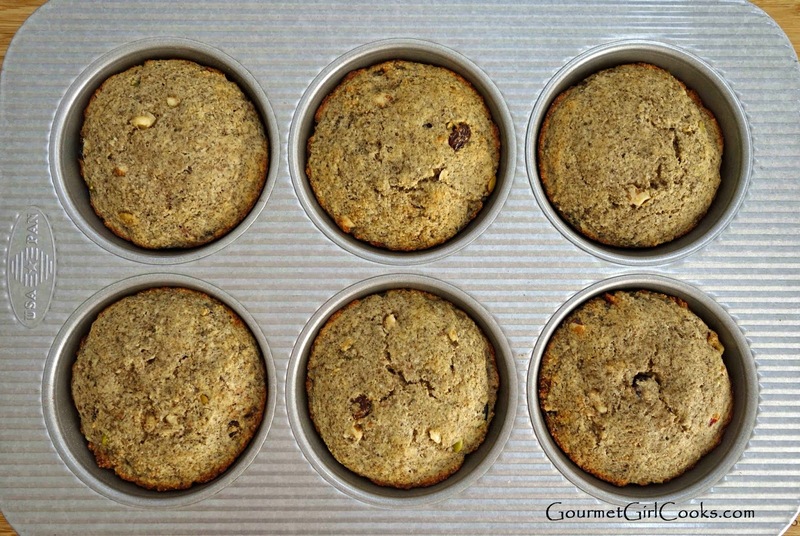 I had to use my Texas muffin tin (really big muffin-size!). I would like to make these in my donut pan next time for a bagel shape. They were very good. I ground my chia seeds in my blender, used about 1/8 C dried fruit, and about 1/8 C pepitas. 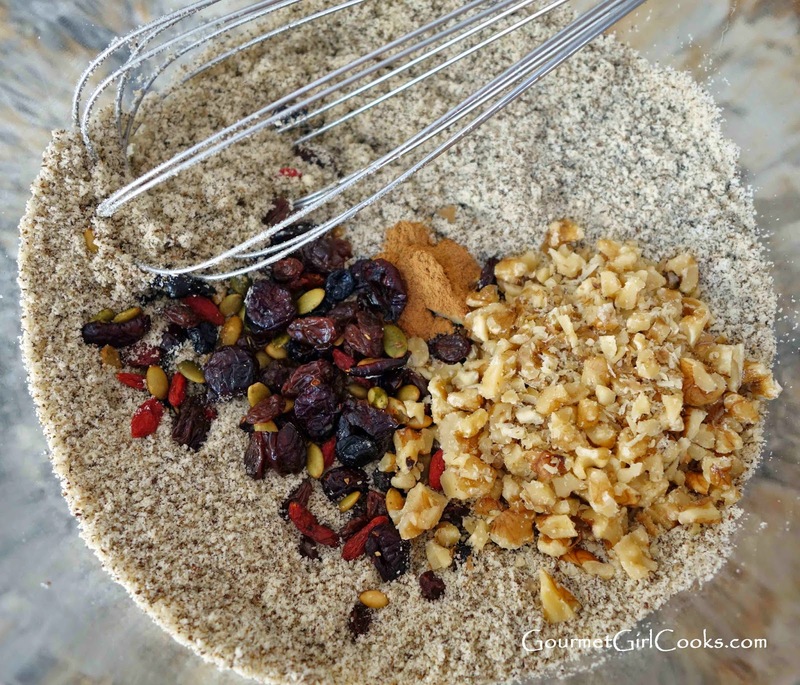 It would be much better to make with unsweetened dried fruit. I'll look for that. Thanks for your wonderful recipes, and all the hard work you put into them! PS I don't make comments very often, don't understand the process, so I'm anonymous! I could not wait to try these after seeing the recipe last week. Just pulled a batch out of the oven and they are delicious!! (I had no doubts!) I, also, do not have a pan like yours so I baked them on my silpat mat and they did spread, but that's ok. Next time, I may try a muffin tin, just to have the thicker "bagel." I did not have buttermilk, so made my own with almond milk and vinegar. 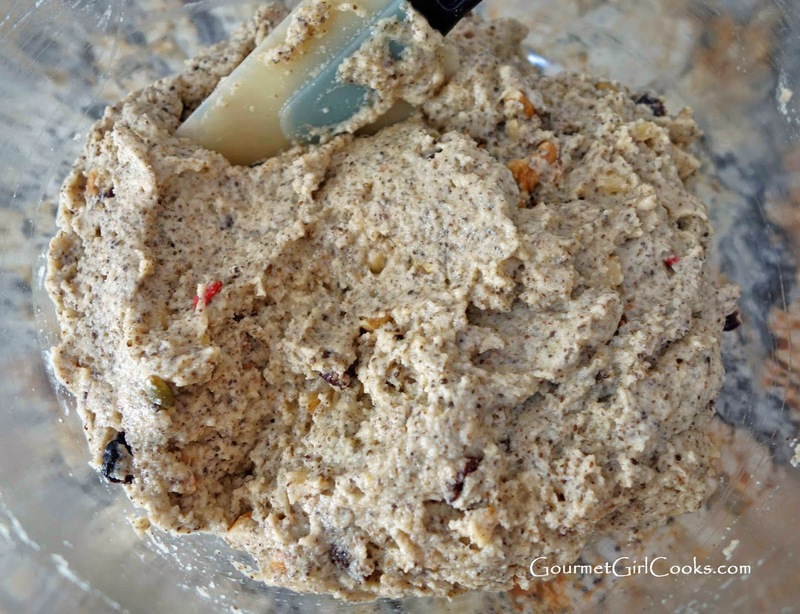 Used a mixture of pepitas, raw sunflower seeds, dried blueberries, & cranberries. Yum!! 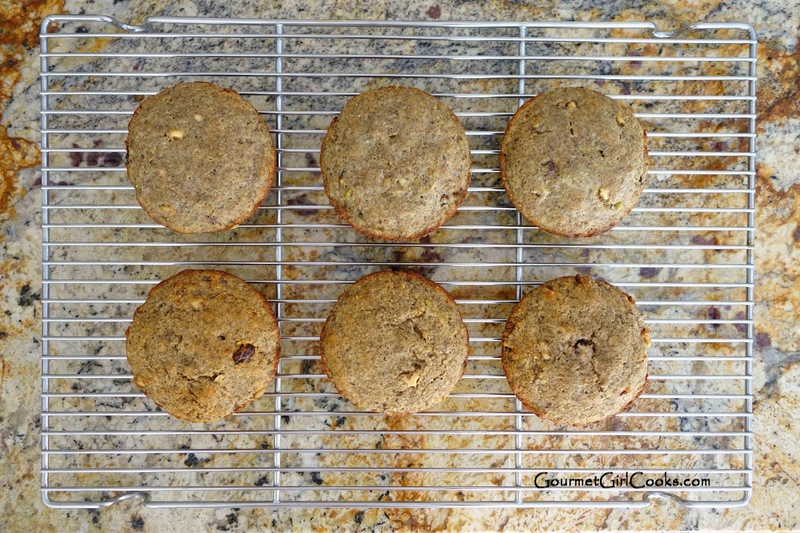 Thank you, once again, for another yummy grain-free, wheat-free, low carb recipe! these are really general baking questions, but since i am getting ready to make the bagels, I'm posting it here. i've heard that for GF recipes, both eggs and almond/coco flour need to be room temp, but i notice you don't mention it. is that because you assume ppl already know, or do you not find it to be necessary? also, when you list coconut flour, you always say 'sifted' yet for almond flour you do not. my coco flour really doesn't need sifting, but almond flour is very lumpy and does require it. should the measurement be taken BEFORE or AFTER sifting? it would make a difference in the almond flour. I used my almond flour straight from the fridge. I usually use my eggs from the fridge, too. My coconut flour I keep at room temp. I don't sift my almond flour because this is what I do before using it to "un-clump". I open the big 5-lb bag up...stick a big whisk in there and vigorously whisk it to "sift it in the bag". Then, I just scoop it out nice and "loose". Most of the time, I place my coconut flour in a bowl and just use my mini whisk and break up any little clumps. You are right, the coconut flour isn't as bad as the almond flour (at least mine isn't). Some folks that store their coconut flour in the fridge without sealing it tightly have problems with it clumping from the moisture in the refrigerator. These were the first things out of my oven today after our power was restored. How appropriate ... *Power* Bagels! 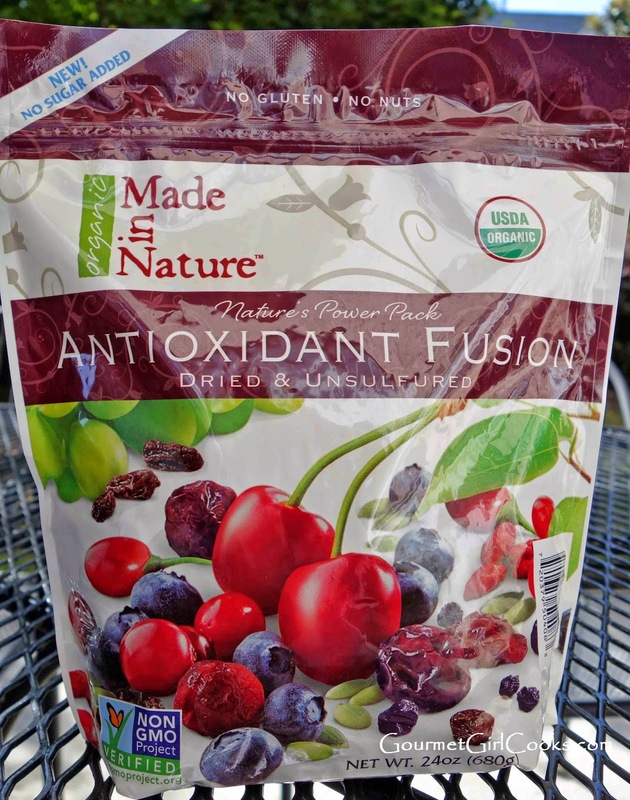 :-) I haven't found the Antioxidant Fusion yet, so I just used Bob's dried blueberries. The bagels came out great and my hubby really liked them, too! I must make these..but out of chia seeds until next week. Can I sub the same amount of golden flax meal for it? asking for your trouble-shooting expertise. as i've reported, i LOVE LOVE LOVE these bagels. i keep them on hand. i bake them in donut pan and they've been turning out perfectly. well, i just took some out of oven, allowed them to cool in pan on wire rack for 5mins…cdn't get them out of pan. so let them cool for another 5mins…still stuck. after few more mins, i was able to get them out but tore up bottoms doing so. i wd assume this is a fluke, except the sandwich buns i made the other day did the same thing…bottoms stayed in pan. i have made these buns many many times and never had this situation before. after this happened, i oiled the donut pan a bit more for the bagels today, so i'm puzzled at what might be going on. Subbing golden flax meal for chia seeds at the amount you recommended was PERFECT!!! So happy to have such a luscious breakfast treat, while maintaing low carb eating. Thank you so very much for developing this recipe. Wow! These are spectacular! This is the closest to grained, gluten bread I've had yet. My husband, who is tiring of almond flour bread recipes, also really loved these. I used flax since I didn't have chia on hand, and I think the flax/chia is the key to the chew and texture I'm associating with real bread. 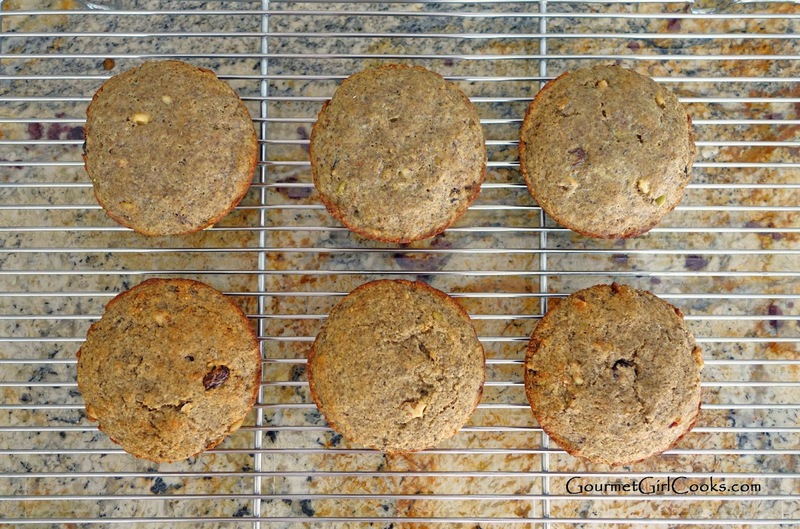 These smelled like carrot cake while baking, and they have a nutty, wheat bread taste that we both love. I made them in a non-stick donut pan with coconut spray (which I didn't have a sticking issue like other posters) and there was too much dough for 6. It would have made 8 easily, if I'd had a second donut pan. Since I didn't, I just piled the dough into the 6 wells and made overstuffed bagel shapes. I think I'm going to try dropping the fruit, Swerve and cinnamon and adding onion powder to make savory bagels for breakfast sandwiches. Thanks for the great recipe! I'm SO happy you enjoyed these. 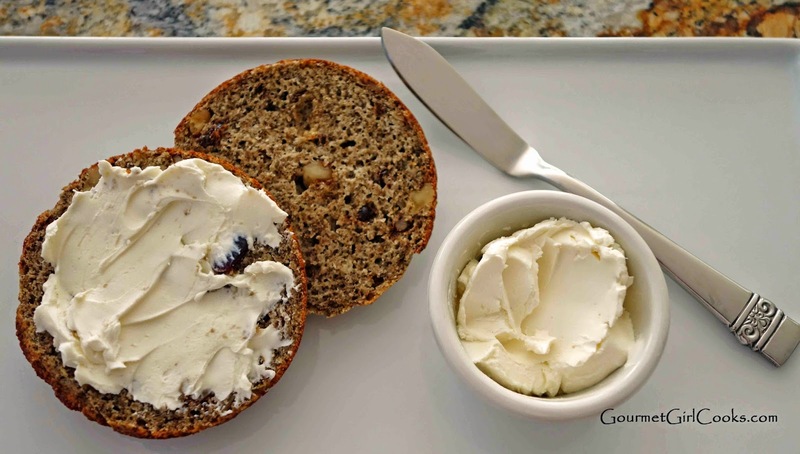 Yes, the addition of flax or chia does help tremendously with the texture of grain free bread. These look sooooo good. I can't wait to try them. We have fresh cranberries at this time of the year and at the farmers market so I will try drying my own in the oven the night before and sweeten with swerve instead. Thank you so much! Well, you have absolutely outdone yourself this time!! These babies are fabulous and a great addition to my 6yr. WOE. Mine have turned out just like the ones you have pictured....no problems sticking. 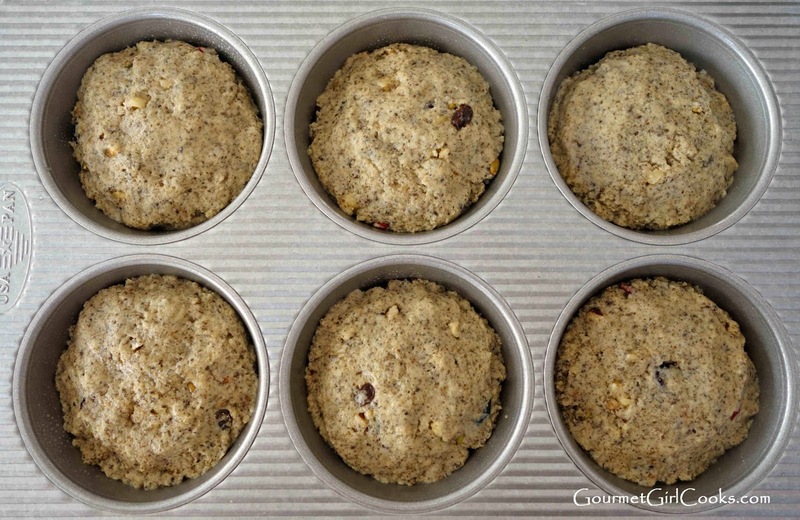 I use coconut oil to grease my large 6 cup muffin pan. As I was having my coffee and muffin breakfast just this am I noticed that the Nov.2014 of Family Circle has an article on p. 97 titled Fat vs Fiction. It is by Nina Teicholz, the author of the book "A Big FAT Surprise". Very encouraging to see this healthy information put out to the general public. I am a grandmother of 11, have tons of energy and have never felt better in my life. So thankful for you and others who put in so much time, effort and energy in keeping us low carbers happy and wellfed. I must tell you about my latest little "adventure." Yesterday I was going to make half a recipe of bagels. Easy, right? Especially since this recipe has an even number of eggs to divide. So I proceeded to mix up half of everything ... or so I thought. They came out of the oven looking a little "different." The texture, although not bad, was a *lot* different. What happened! Then it hit me ... The batter was bit stiffer than I'd remembered and it was making too many bagels (that should have been the tip-off.) I had gotten distracted while measuring out the ingredients and had halved everything *except* for the almond flour! Now, you might get the idea that this was a total disaster ... but not so. For one thing, the bagels were quite edible as is, believe it or not. They were just "different." Even my hubby had nothing bad to say about them! LOL...did you give your breakfast "cereal" a name? That is too funny. It's great when you mess something up from what you intended it to be and it still turns out edible isn't it! I made these today and gosh, they are so tasty. I was out of walnuts, and had to substitute the same quantity with a mixture of raw cashews, pecans and slivered almonds, ground up in my mini processor. I also threw in a handful of raw cacao nibs for added nutrition, crunch and taste. I used a coconut spray for the first time in my USA 6 well pan, & they slid out perfectly. Mmm, so good! Thank you so much for all your great recipes, they have kept my family very happy. Do you have to use coconut flour or can you just sub almond flour for the coconut flour? I hate to be melodramatic (and late to the party) but I love you! Four days grain free so far and doing well...good energy and stabilized appetite, but I was getting a little bored with eggs for breakfast. Made these bagels tonight (minus the dried fruit, trying to reset my palate in these early days) and just had to make eggs and bacon to go with. I put my homemade cream cheese on it. Divine. I can't wait to waltz my way through your recipes. Thank you for this. Thanks so much! I'm so happy you enjoyed them. I agree with you too...resetting your palate in the beginning until your new grain free life is more established is a great idea. 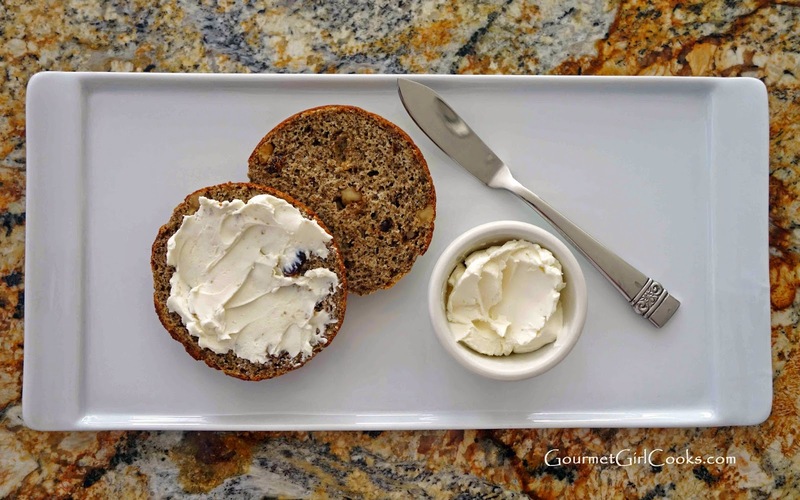 I think that many folks find transitioning away from bread products most difficult and you begin to obsess about them. Honestly, once you realize that you actually do have decent grain free bread option, eventually as time goes by you relax and its not as big a deal. There are many times that I actually have a plate full of biscuits in my fridge, yet I decided just to have eggs and bacon or sausage because bread is less of a focus. Do you think these would be too thin to cook in a muffin top pan? Also if I wanted to add some Hi-Maize resistant starch, how much would you suggest - maybe 1/2 cup and take off 1/2 cup almond flour? Thanks so much for your quick reply - I was hoping you would reply today, but because it's the weekend, I didn't think you would, so an extra thank you (because I'm making them today) ;D Also I was kinda thinking the same thing - I'm going to make them as is, so I can know what they're like, then I might experiment with the Hi-Maize.